Last Friday, the YU Physics (and Engineering) Club went to Junior High School 143 in Washington Heights to do some physics demonstrations. Cuz dys (one of our blog's occasional commenters) did an index of refraction demonstration where he made Pyrex disappear. I showed them a laser light show (think Lissajous figures). Eliyahu had them play with electromagnets and paper clips, and Elie (yes, there were three "Eliyahu"s there...) did a cool velocity amplification demo with basketballs. Overall, some cool stuff. One would have thought that this would be an exciting and educational distraction from an otherwise dull school day. However, the 6th graders were bored. They sat there with blank stares and no interaction. When one of us would ask a question, a few kids would raise their hands in the fashion of "Look! See! Class participation!" They seemed more interested in dribbling the basketball than in making one bounce to the moon. 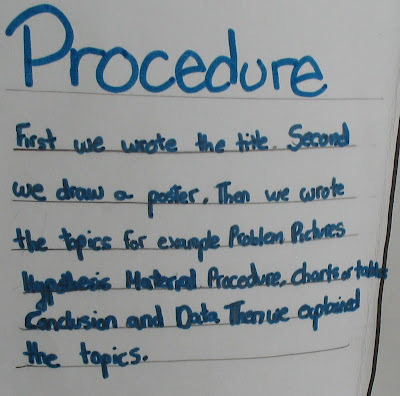 I noticed this in both 6th grade classes we visited. They asked me good questions about the laser show, and a bunch stayed after class, into their lunch period, asking how they could make something like this on their own and repeating the basketball demo on their own, only reluctantly leaving when forced by their teacher. During the index of refraction demo they gave good explanations as to why the sky is blue, and one girl had an excellent (intuitive?) explanation of energy's relationship to mass (we're talking classical energy, not E=mc2. Now, I'm not sure what happens to kids in between 5th and 6th grade, and it's possible that this latter class was just a better group of kids. I don't have enough info to comment intelligently on the difference between the two grades, so I won't. But that's not the sad state of science education. This is bad. In truth, this is only part of the badness. Each and every poster was about global warming, or damage to the ozone layer or something like that. Each and every poster had data and graphs (in all cases the data wasn't relevant and certainly didn't support the conclusion), hypotheses and conclusions. But not a single poster had any science. This stuff looks like science. 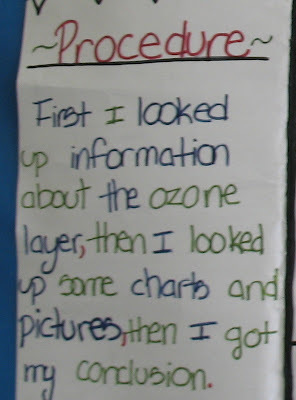 It is as if the teacher described what science is supposed to look like - you know, the scientific method and all that - but then told them to write a book report in a science poster style and the kids followed the (stupid, pointless) instructions perfectly. I will note that the teacher told us that they don't have any labs, but they do have lots of books. Now, books are great - I'm a big fan of books - and the books they had were good books, but gimme a break. 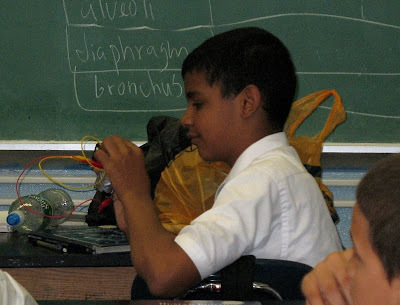 I did better science projects before 4th grade! You don't need "labs" to do experiments. For example, phototropism or thigmotropism. Does mold grow on toast quicker than bread? Dominant and recessive genes in family eye colors. Simple things, but still real science. I'm not sure who's at fault here, but this is the sad state of science education in at least one NYC public school. But hey, at least it's not England. Then again, we're not much better. Hey, but they all have WAY better penmanship than you had at any age. Wow Eli that is just sad. As a member of the Rutgers Chemistry Society, I observed first hand a similar "experiment". I wanted to say "You idiots! How is finding pictures of power plants on the internet science? What's the point?" 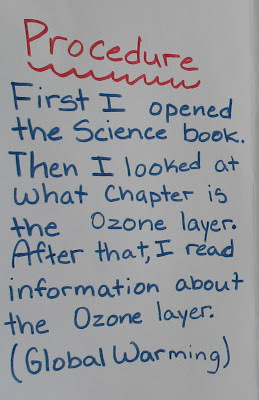 Because of course, even if the students knew what they were doing, taking someone else's data, to fit the conclusions the teacher already told you is not science. But of course, I couldn't. I am not the teacher. I didn't make the assignment; I just observed it. It is depressing. Yeah, that guy who talked about electromagnets was BORING. Excellent, excellent post. I can only say that I escaped such nonsense by watching TV shows like Mr Wizard (rest in peace), Bill Nye, Beakman's World, and (to a certain extent) The Magic School Bus. Neither of my parents were interested in science or math, and my teachers, though they tried, could not do an experiment to save their lives. There needs to be more mainstream appreciation of experimentation and doing things just to see what will happen. My favorite physics class started with an off-topic question about microwaves and marshmallows; I learned more about thermodynamics and candy that hour than I had in 15 years of life. I never really gave "The Scientific Method" much respect. It's artificial, and, exactly like notelon said, the students already know what the conclusions are -- why then would they bother to do the experiment? Real scientific research may follow the model, but certainly not to this extent. Thank you for the excellent post! This is exactly what I experienced in middle school-- stilted, pointless book exercises and "labs" in which everyone knew the conclusion already and we fudged the data to make it fit. I was saved from some of it by my miraculous luck in having the only good science teacher in the school two years running-- only to get turned off again in high school. I remember commenting to my mother during freshman year that "if aliens came to earth and attended my science class, they would think that the whole of human knowledge came from people boiling things." 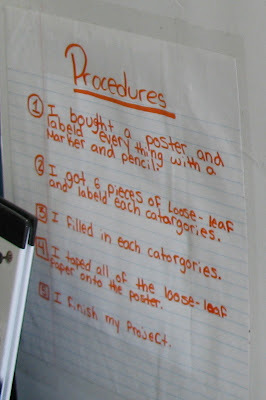 Which grade level were the posters from? harv - I'm not sure what grade, but if I had to guess, somewhere around 5th grade, plus or minus a grade. I just posted a note on my blog yesterday about some work being done by Alan Kay, one of our most eminent computer scientists and a person deeply concerned with teaching math and science better, especially to young children. He expresses a lot of the same concerns you and your commenters express. His team is also doing some neat work in an attempt to redress the problem. You might want to check it out. Very good post, Eli, and congrats to you and the physics club guys. And now that you are starting your career in science, welcome to my world..... You should see the challenge of giving some idea of science to non-science college students in the "physics for poets" courses. But one has to keep trying to do better. I am more proud of my Physics of Galileo course in Italy, and my Nano-science for poets course in Brookhaven than any other thing I did over my years in teaching, and still, I know we can do much much better. Dave Barry has done a fine job of covering this topic. See his article Weird Science, and chapter "Food For Thought" in his book Dave Barry Is Not Making This Up.